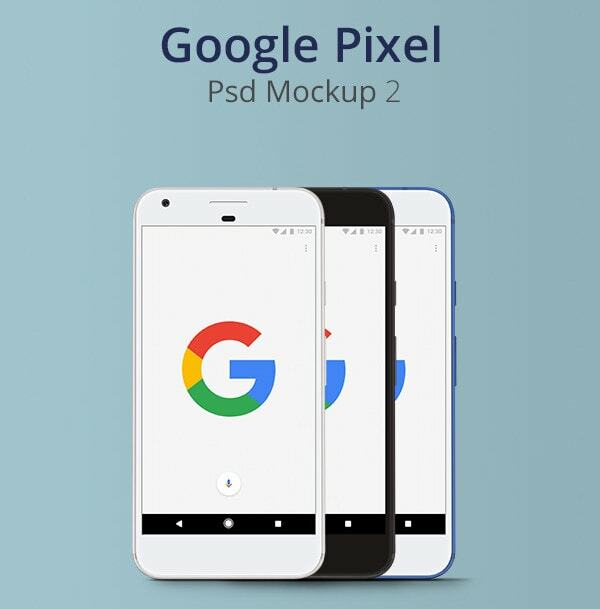 We’ve catalogued the very best free Pixel PSD Mockups that let you quickly and easy demo android app UI via the new smartphone by Google. 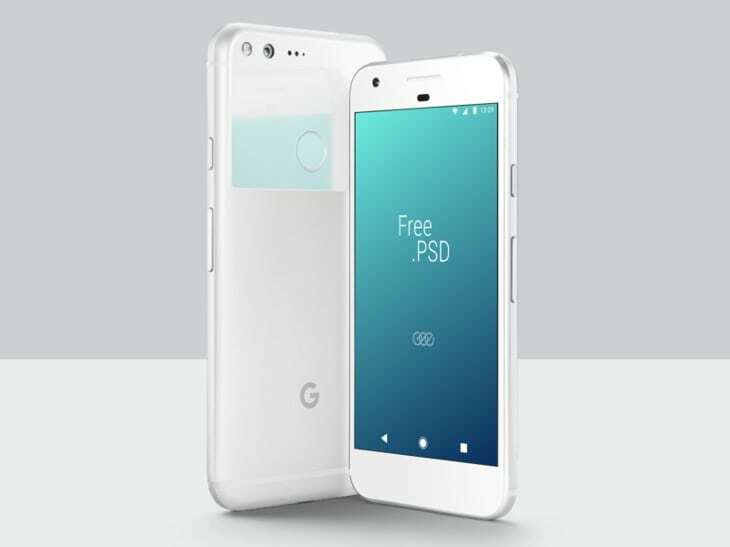 Using the awesome, free Google Pixel PSD mockups that we found is as easy as heading to Photoshop, double clicking the ‘click me’ or ‘screenshot’ layer and dropping your apps screenshot, graphic design work or webpage onto the artboard. It couldn’t be more simple to show off your creative work framed in a tonne of different styles – realistic, flat, minimal etc. – and at loads of different perspectives. 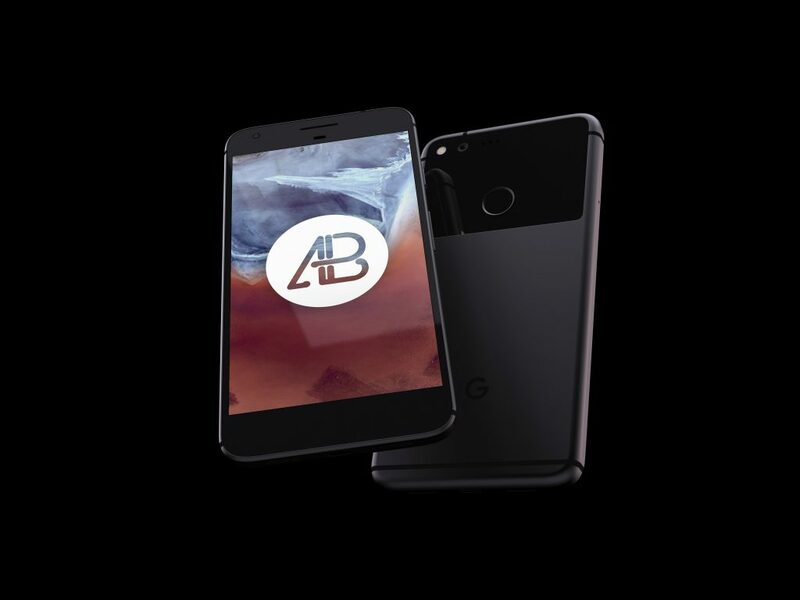 Oh, and if your looking for the best free iPhone 7 mockups, we’ve got you covered. ‘Goodbye, Nexus! 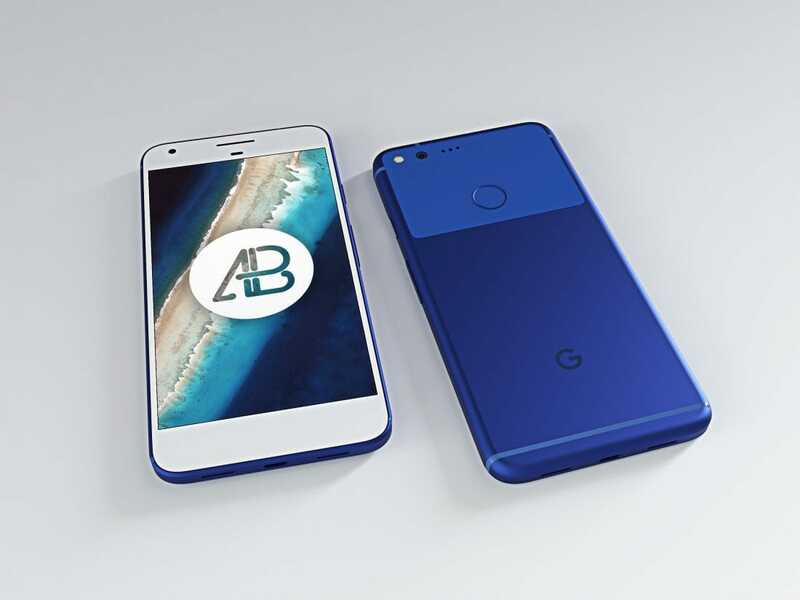 Hello, Pixel Phones. 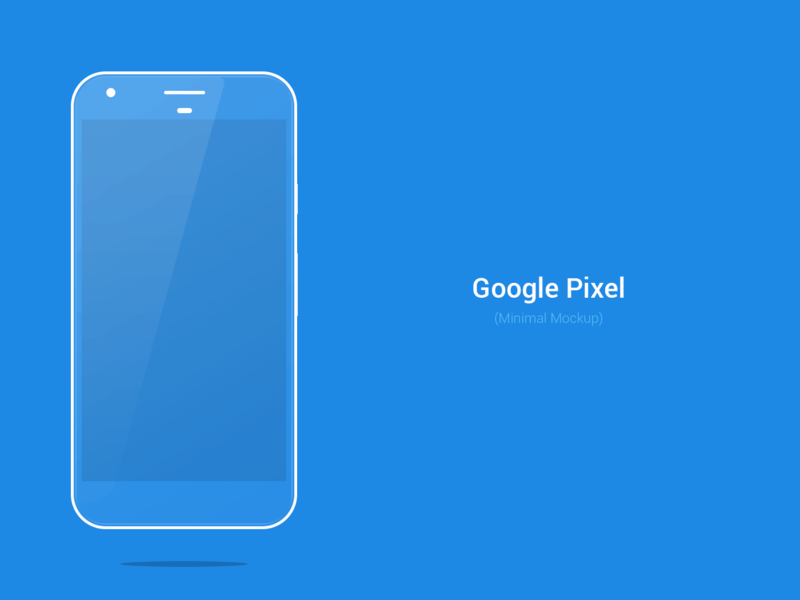 Today we present to you free PSD mockup of new Google Pixel phone. A quick, easy to download, simple to use .PSD mockup put together by Dribbble user Daniel Bolyhos. It lets you replace the Pixel’s display with your own screenshot or design via an easy to customise mask in Photoshop’s layers panel. 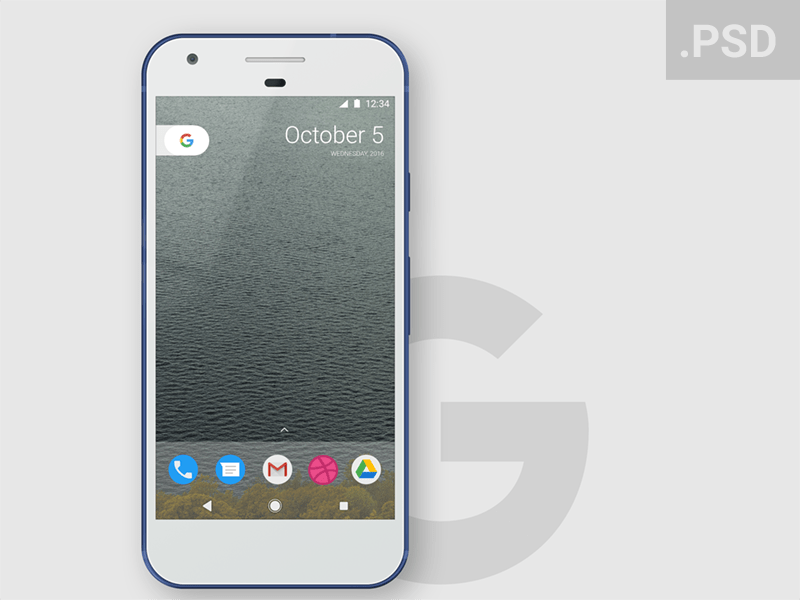 This cool, easy to edit, wireframe-style Google Pixel mockup is ideally suited to web and print projects with flat design leanings, playing off contemporary graphic design trends by keeping things sleek, simple and totally minimal.